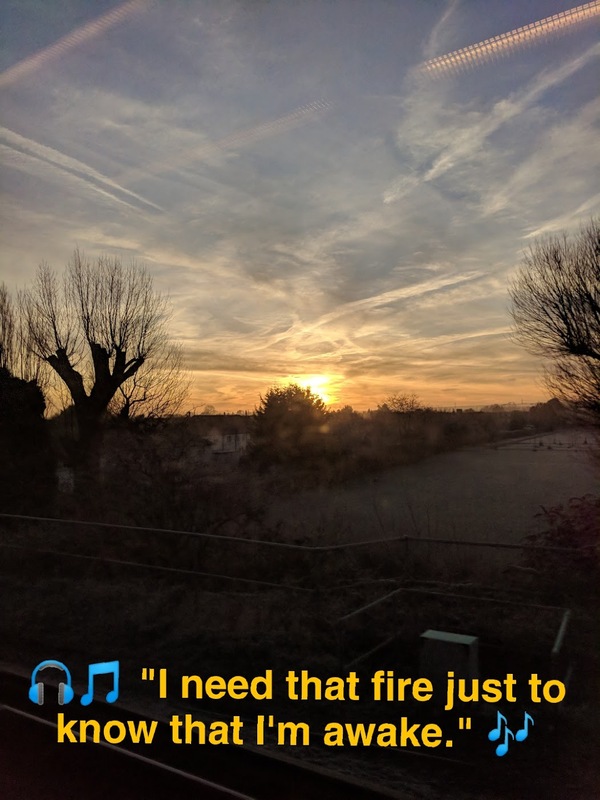 An early meeting outside London (which I unexpectedly had to run alone) meant catching the sunrise from a train somewhere outside Woking. New headphones and Ruelle helped. As did Snapchatting the USA (I told you we share skies). Snapchat has also been a fun way to stay in touch with Karleigh in particular, which was the main reason I started using it.